So it's been a month since I used the Scotts® Snap® Spreader System. 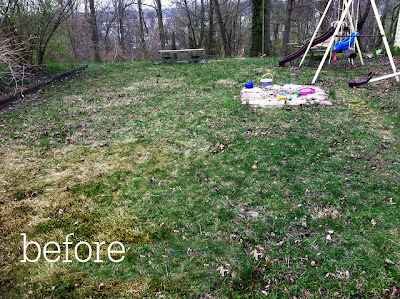 Now, granted the lawn then was in its pre-spring foliage phase but the difference is night and day. I've used other spreaders in the past. The Scotts® Snap® Spreader System was fantastic because it was literally a snap. All I had to do was place the bag on the system and move the front button to the "lock" position and I was ready to go. Could it possibly be easier?! To spread the fertilizer, all I had to do was squeeze the handle while I walked up and down my lawn with the Scotts® Snap® Spreader System. It automatically sets the application rate taking the guesswork out of spreading. It also was great for us because as you can see we have a sidewalk next to our yard and the unique EdgeGuard kept the fertilizer where I wanted it and not on the curb. And when I was done I just moved the button back to unlock and the bag is automatically sealed again. This weekend, we had experienced a lot of rain and the yard was starting to look rather wild. So Brian mowed our lawn and I have to say it looked great! And to get this result I didn't have to do as many runs as I did with my old spreader saving me a lot of time. 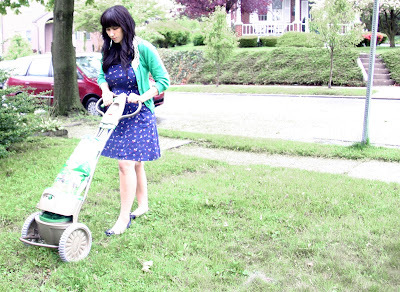 What I also loved about the Scotts® Snap® Spreader System is that it's kid friendly. I don't have to worry about dangerous pesticides like I would if I used a spray. Check out Scotts® Snap® Spreader System and "like" Snap Perks on Facebook for more great products and promotions!